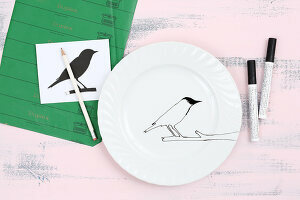 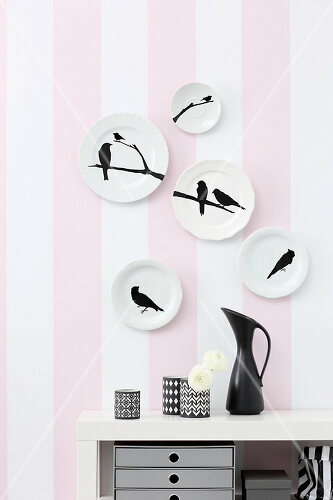 Birds on plates have a long tradition and often grace the walls of fine homes. 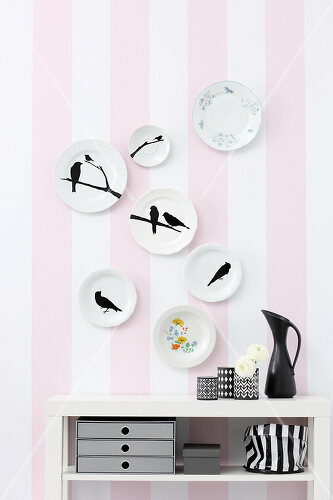 Here are some D-I-Y plates that are every bit as nice. 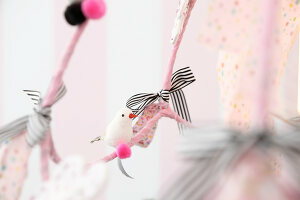 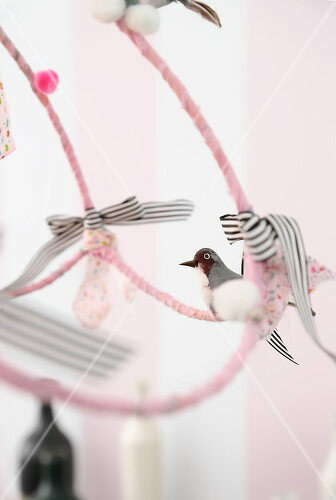 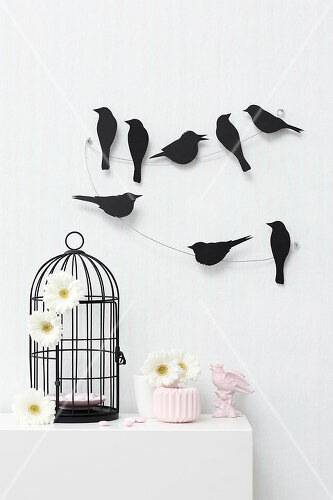 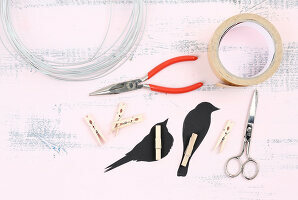 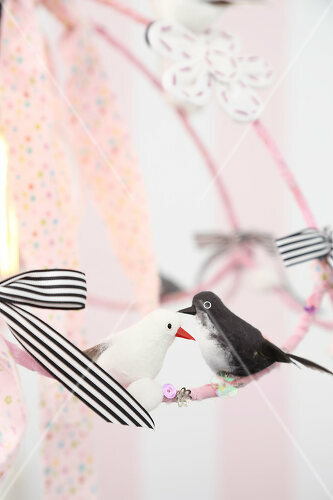 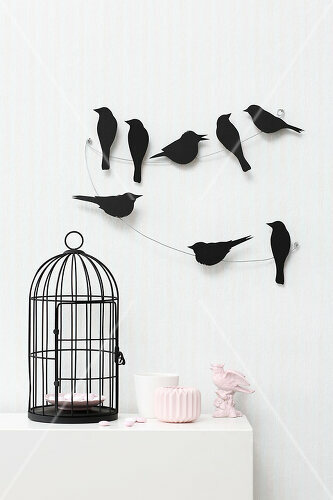 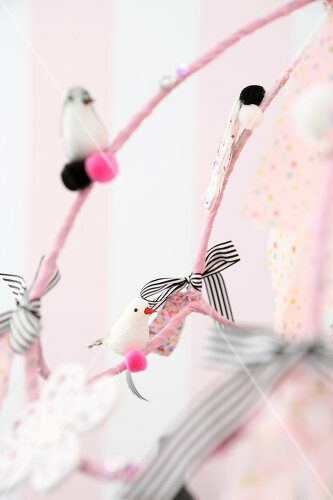 Birds also make a great wall decoration, or simply let them roost on a wire in your favourite room. 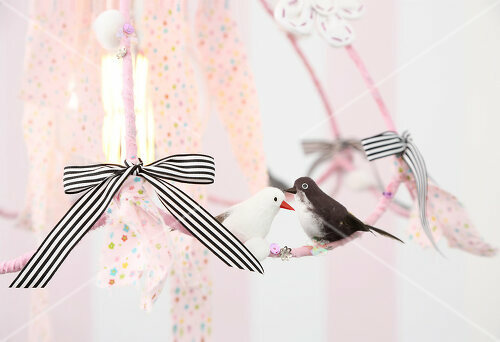 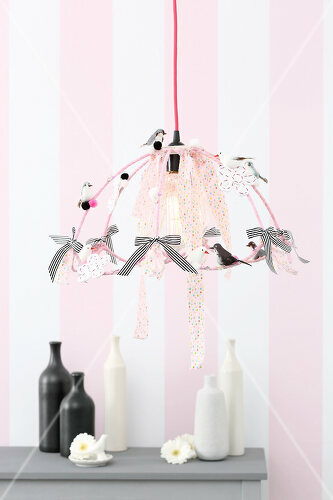 For the really ambitious decorator, we have a lamp you can make yourself, and of course -- decorate with birds.